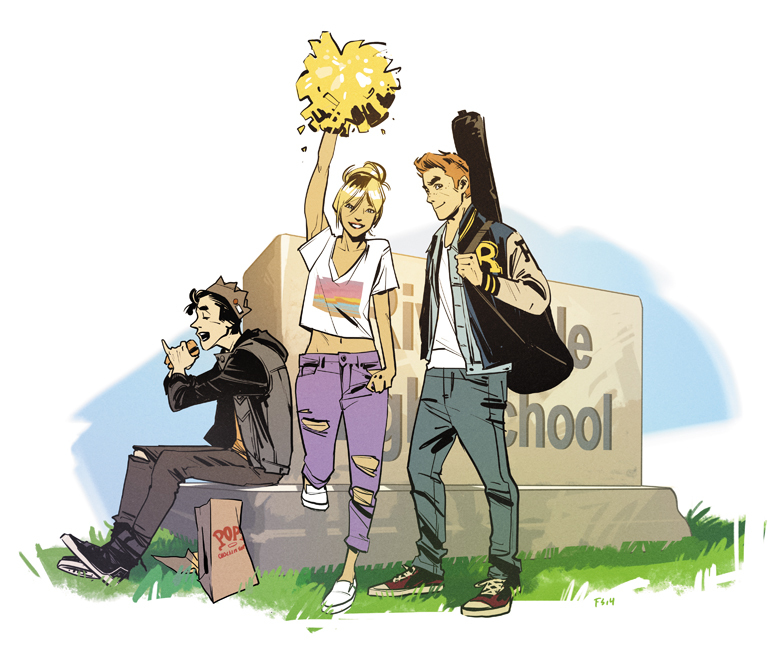 NOT FINAL Archie promotional artwork by series artist Fiona Staples. New York, NY (December 15) – Archie Comics, the acclaimed and bestselling comic book publisher that is home to some of the best-known pop culture creations in the world, including Archie, Jughead, Betty & Veronica, Josie & The Pussycats, Sabrina the Teenage Witch and the hit AFTERLIFE WITH ARCHIE and CHILLING ADVENTURES OF SABRINA horror series, announced today that the company will relaunch one of the longest-running comic series in history with a new direction spearheaded by two of the most acclaimed and best-selling creators in comics today. ARCHIE #1, hitting next year from writer Mark Waid and artist Fiona Staples, will reenergize the story of Archie and his friends, presenting for the first time ever the origins of everyone’s favorite redheaded teen and his friends while showcasing the beginnings of the historic love triangle between Archie, Betty and Veronica. Archie, archie comics, archie1, fiona staples, mark waid, press release. Bookmark.